Reuters reported: “The Communist Party’s zeal in smothering dissent to maintain stability at all costs has created a domestic security system so expensive that it is sapping funds needed elsewhere to maintain the country’s economic health.” "Stability trumps everything," a Communist Party official told CNN. "We cannot be wishy-washy and just leave matters to chance." Critics say the Communist Party’s reluctance to embrace political reforms will ultimately doom its efforts to create a more “harmonious society,” particularly if it can’t control officials who are the target of discontent. The numbers show how vigilant China's ruling Communist Party is against unrest, despite robust economic growth and years of budget rises for law-and-order agencies, which pushed outlays on them past military outlays for the first time in 2010. 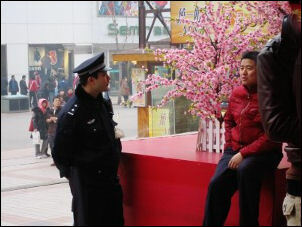 The rise in China's budget for police, state security, armed militia, courts and jails and other items of "public security" was unveiled in the Ministry of Finance's report issued at the start of the annual parliamentary session.For 2012, China set combined central and local government spending on "public security" to 701.8 billion yuan, compared with 629.3 billion yuan in 2011, when it grew by nearly 13.8 percent. China will spend will boost defence spending by 11.2 percent this year to 670.3 billion yuan. There is however another key leading group strikingly out of character with the broad focus of each of the other leading groups: “The Leading Small Group for Preventing and Handling the Problem of Heretical Organizations (zhongyang fangfan he chuli xiejiao wenti lingdao xiaozu). Originally called “The Leading Small Group for Handling the Falun Gong Issue” (falun gong wenti lingdao xiaozu), the name change suggests its activity has expanded since 1999. Though Falun Gong remains the primary focus, its targets now include house church Christians, Buddhists and other religious or spiritual groups, and it has been renamed accordingly. The 610 Office’s beginnings lie partly in the CCP’s tradition of “leading groups.” The 610 Office was formed concurrently as the implementing body for The Leading Small Group for Handling the Falun Gong Issue and is named after the date of its creation: June 10, 1999. “Six-ten” functions outside the state system without any official standing. 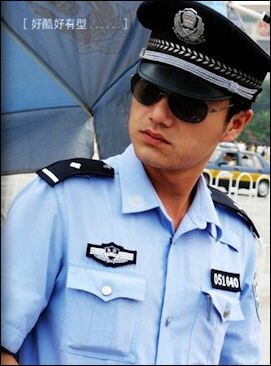 At its core, the 610 Office is a plainclothes CCP-based extra-ministerial security force focused on suppressing the Falun Gong spiritual group. The leading group sets the policy direction, which the 610 Office executes. After featuring briefly in news articles in 2000, the 610 Office has since garnered only occasional international attention, leading to a common misperception that it is defunct. Recent evidence---including eyewitness accounts, official online documents, United Nations reports, and Congressional-Executive Commission on China (CECC) analysis---however, all points to an agency that remains active nationwide at all levels of Chinese governance. It was particularly involved in crackdowns surrounding the 2008 Beijing Olympics and the 2010 World Expo in Shanghai. Today, based on extrapolating from district-level numbers on local government websites, we estimate it retains at least 15,000 officers. In a June 7 directive, Jiang ordered the creation of a special leading group within the Party’s Central Committee to’swiftly handle and solve the “Falun Gong problem”.” He ordered that the team, placed under the responsibility of Politburo Standing Committee member Li Lanqing,”should immediately organize forces” and “get fully prepared for the work of disintegrating [Falun Gong]”. 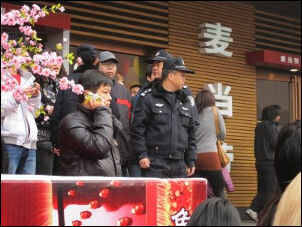 A few days later, the CCP also established an office to handle day-to-day operations. This office was internally named 610, or "liu yao ling" for its June 10 creation. No legislation was passed establishing it. No provisions formally outlined its mandate. This extralegal flexibility has proved critical in recent years, as its responsibilities have expanded. Given that the CCP already had control over a range of security agencies and military forces, forming yet another entity seems unnecessary. Several factors may have contributed to Jiang’s decision: 1) Numbering in the tens of millions, Falun Gong practitioners included many individuals within the military and security establishment. This contributed to a sense that Falun Gong had quietly infiltrated the CCP and state apparatus. Jiang may have felt the need to create a trusted network of security agents to counter Falun Gong’s influence. 2) Given the task’s scale, Jiang needed an entity that would act quickly and forcefully with no holds barred. He may not have envisioned that twelve years later millions would still be practicing with new believers joining and the 610 Office seemingly permanent. 3) The creation of a new leading group quickly sent a signal down CCP ranks that countering Falun Gong was a new priority. 4) Given that the entire anti-Falun Gong campaign functioned outside Chinese law, Jiang needed a security force that could operate outside the existing legal system and its potential restrictions . Over the following months, 610 Office branches were created throughout China and a chain of command emerged, closely linked to the Political-Legal Committee (PLC) structure. Hao Fengjun, a former 610 Office official selected from the Tianjin Public Security Bureau, stated that the office's orders come directly from the Party’s top echelons, then trickle down to cities and neighborhoods. Much of this structure overlaps with the CCP’s Political-Legal Committee (PLC). For example, after Li Lanqing retired in 2003, Jiang’s confidant and politburo member Luo Gan took over the leading group overseeing the 610 Office, while also heading the PLC. In 2007, Zhou Yongkang replaced him as head of both the leading group and the PLC. Hao’s description of a nationwide network of 610 Office branches closely linked to the PLC apparatus is corroborated by a range of official sources. An online search reveals scores of recent references, pointing to the existence of active branches even in small cities and districts of Jiangxi, Guangdong, Zhejiang, and Shandong. A website of the Leiyang Municipal Party Committee in Hunan Province states its local 610 branch “reports to and is under the supervision of the municipal Party Committee’s Political-Legal Committee,” and is located in the Party Committee’s office building . 610 Office activities also differ from those carried out under other leading groups in that its mandate does not relate to policy areas, like foreign affairs or economic reform. Rather, it targets Chinese citizens for thought reform. Millions of Falun Gong practitioners place their moral teachings, revolving around Truthfulness-Compassion-Tolerance, as their spiritual compass. CCP leaders arbitrarily deemed these beliefs “heretical” in 1999 and “transformation” quickly became a key aim of 610 Office operations. Like “patriotic education” tactics used in Tibet, the purpose of this ideological reprogramming is to break the will of subjects by coercing them---reportedly including physical and psychiatric torture, sleep deprivation and manipulation of family members---to renounce Falun Gong, profess loyalty to the CCP, and ultimately participate in the forced conversion of others. Today, this objective remains fundamental to 610 operations, a testament to the Party’s difficulty crushing a decentralized groups of dedicated believers. In March, an analysis of local 610 Office-related references on official websites indicated that the Central 610 Office launched a renewed campaign to “transform” Falun Gong practitioners nationwide scheduled to last from 2010 to 2012. The expanded mandate points to the entrenchment of the 610 Office in the CCP apparatus. What began as a temporary leading small group and task force has become a permanent fixture. It also highlights how 610 Office’s existence undermines rule of law---whatever official state policy towards religion might be, this entity operates at the direction of a small group of CCP leaders with no official standing. Such conclusions take on even greater significance at a time when the 610 Office may be serving as a model for new CCP initiatives. Since 2008, official reports, speeches and circulars have referenced a novel set of CCP “leading groups” maintaining stability. Reportedly, branches of the Office of Maintaining Stability “are being set up in every district and major street” in rich coastal cities. They are charged with “ferreting out “anti-CCP elements.”"